Expedition Line Hurtigruten Will Launch the World's First Hybrid Electric-Operated Ships in 2019, 2020 and 2021. After 125 years in operation, Hurtigruten still continues to make history. The world’s largest expedition cruise line operates in unique destinations from pole to pole. 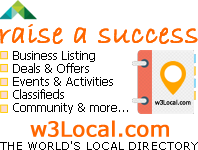 And, its commitment to sustainability has never been more evident. 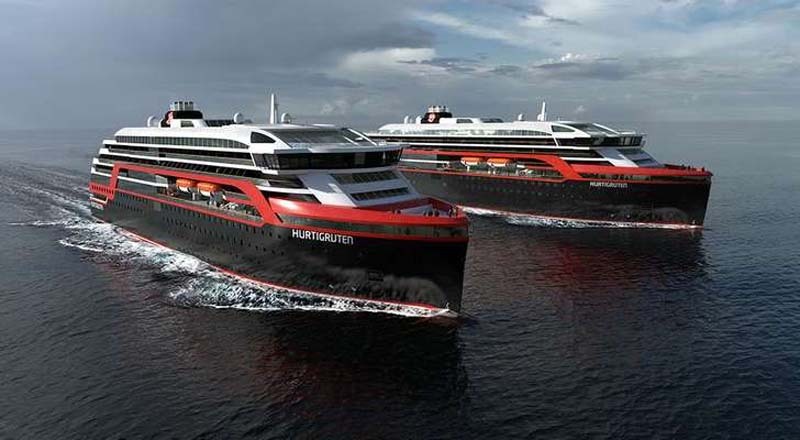 Hurtigruten is about to launch the world’s first hybrid electric-powered ships. The MS Roald Amundsen and the MS Fridtjof Nansen will debut in 2019 and 2020, respectively. Named for two heroes of polar expedition, the ships' itineraries will ply the waters of Antarctica and Arctic Canada. They’ll travel through the Northwest Passage, the legendary route from the Atlantic to the Pacific, cutting through the icy Canadian Arctic along the way. The new ships will also visit Greenland and Iceland, home to the midnight sun, volcanic landscapes, dramatic geysers, waterfalls and Viking outposts. And, they’ll call on the Svalbard archipelago, the crown of Arctic Norway. Located some 650 miles from the North Pole, its stunning fjords are the domain of the polar bear. Hurtigruten’s new ships will set new standards in environmentally conscious expedition cruising. Hull design, onboard energy savings and use of electric propulsion will reduce fuel emissions by 20 percent. As an added benefit, guests will enjoy a sailing quieter than anything else at sea. They won’t however, have to sacrifice luxury or comfort in order to sail green with Hurtigruten. The new ships feature inviting, Scandinavian-inspired décor, furnishings and textiles. Both feature all-outside staterooms and suites, an Explorer Lounge, large observation decks, three restaurants, an infinity pool, hot tubs, a gym, running track and wellness area, plus a Science Center. Hurtigruten’s goal has always been to provide authentic and immersive experiences in the heart of nature. Its guests have the opportunity to hike through pristine wilderness, kayak past icebergs, visit research stations and more. The line’s custom-built landing crafts are designed to expedite the time it takes to get ashore. While other lines use top deck deployment for explorer boats, Hurtigruten uses lower decks. Water-level access makes it easier and safer to board landing craft. Professional expedition team leaders act as hosts and share expertise in history, geology, marine biology, oceanography, Arctic survival, ornithology and photography. In addition to the MS Roald Amundsen and the MS Fridtjof Nansen, Hurtigruten announced a third hybrid powered expedition vessel. The new ship will debut in 2021. “These are greener, more advanced cruise ships than the world has ever seen. Ships that will raise standards for the whole industry to follow, as we enter a new era of expedition cruising driven by sustainability,” said Hurtigruten CEO Daniel Skjeldam. said. “We are thrilled to introduce yet another revolutionary hybrid powered expedition ship. This groundbreaking vessel will take our guests to some of the most spectacular areas of our planet, in a more sustainable and environmentally-friendly way than ever seen before,” said Skjeldam. The new ship’s design, construction, engineering and advanced technology will be based on its two predecessors. She will also feature substantially larger battery packs to make cruises even more sustainable. “We strongly believe that Hurtigruten, and our responsible and innovative approach to sustainable solutions, is the perfect fit for the modern-day explorer. Hurtigruten is experiencing a substantial global growth. The expansion we have seen so far, is just the beginning,” said Skjeldam.